The adventure started on Highway 99 from Vancouver to Whistler. The distance is about 90 miles and all reports stated it would take about two hours. Three and a half hours later my tired rental PT Cruiser pulled into town. Road construction for the 2010 Olympics was the culprit but it did allow us to take in the beautiful views. Since it has now been about four years since I played the front nine, it’s time to travel this route again and complete my round at this Arnold Palmer designed beauty. Whistler Golf Club is an 18-hole course but I played the “Nine & Dine” option with Arnie, John, Chad, and Eric – 9 holes of golf and a $15 credit at Palmer’s Gallery Bar & Grill. The cost was $85 but this is vacation, eh! 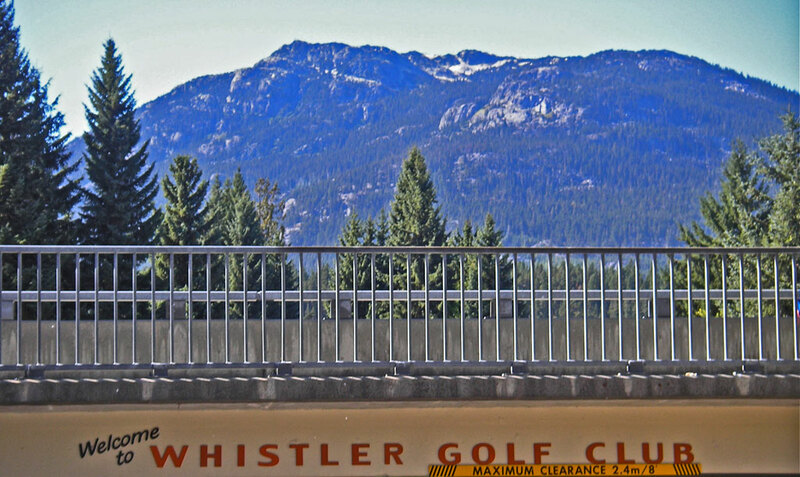 The views from the course are outstanding with the Whistler and Blackcomb Peaks surrounding the facility. Cedar and Fir trees line the course, so keep it straight on the first two holes and you can start with birdies. At Hole #3 keep your tee shot left (on this dogleg right) for a good angle to the green. Or better yet, just hit it over the trees like Chad did to secure his birdie. 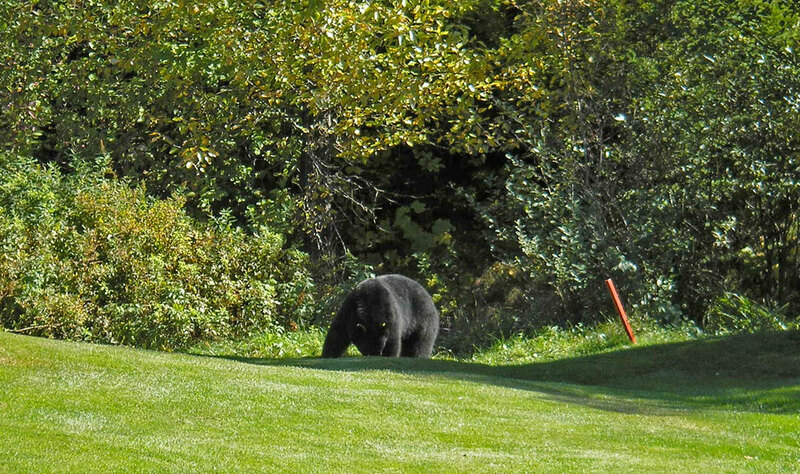 I had to laugh at the course overview which stated, “you might see a bear sauntering across fairways”. Well there he was about 20 yards from the fourth green, just eating and minding his own business. As Karen and I tried to seek a safe haven to take a few pictures, our Canadian playing partners just kept on putting. Guys, it’s a bear, eh! They were so casual about it – like I would be about geese on Colorado courses. Hole #4 – It’s just a bear, eh! Hole #5 is a 211 yard par 3 and this day the wind was in our face. Not very often I take a driver out of the bag on a par 3 – just don’t be long here. As you finish the front nine, water is always in play. At Hole #6 it is behind the green (and in play); Hole #7 it’s right, center, and left; at the par 3 eighth hole it’s short and right (and for good measure there is a bunker behind the green). Let me recap Hole #8 – you can’t be short, right, or long! 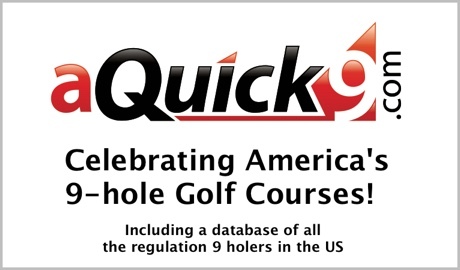 I had to quit after 9 holes because my supply of golf balls was exhausted. Ace: No matter what your activity, Whistler is worth the 2-4 hour drive. Actually I didn’t get to play with Arnie, but we did get to play his course and eat at his restaurant. The course and scenery are awesome and I wish I could have played the back nine. One last point about the course – don’t ask the stupid question I did – the yardage markers are in yards not metres. Whistler is a great village with plenty to do during the non-skiing season. Zipline, kayaking, Whistler Mountain Bike Park and hiking make it a fantastic autumn destination.